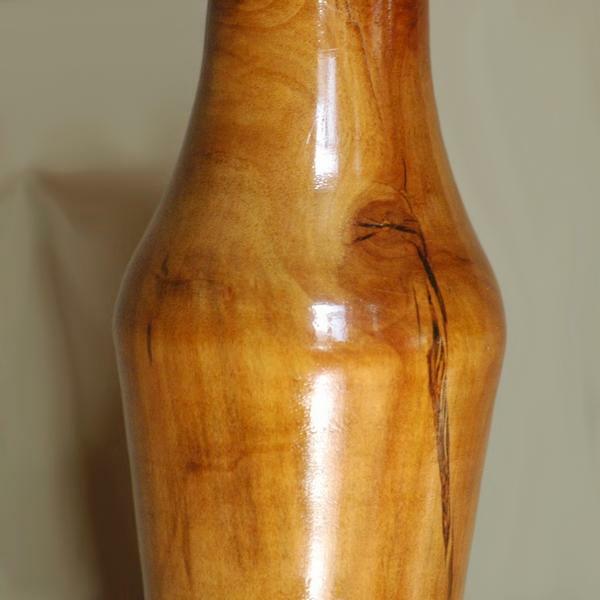 A handmade wooden vase reminiscent of a water flask. The organic look and the warm color of the wood attract attention despite the simplicity of the shape. Looks great with dried flowers.